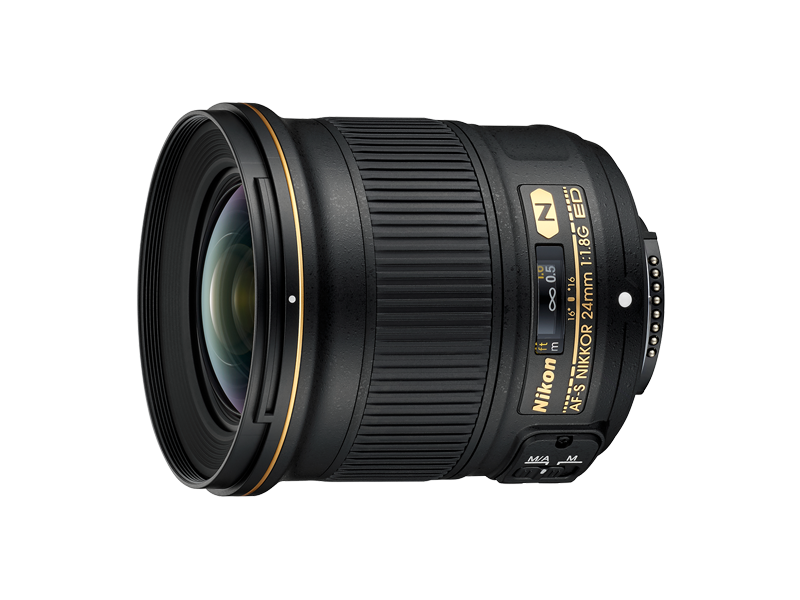 FX-format compatible, wide-angle prime lens with 24 mm* focal length and f/1.8 maximum aperture that enables creative photographic expression. * When attached to a DX-format digital SLR, the angle of view is equivalent to that of a lens with a focal length of 36 mm in FX/35mm format. Compact and lightweight design for superior mobility. Nano Crystal Coat, aspherical lens and ED glass elements are employed to realize high optical performance with minimal ghost effect and chromatic aberration. Smooth blurring effect is achieved at the f/1.8 maximum aperture, making your subjects stand out more impressively. Short minimum focus distance of 0.23 m lets you get closer to subjects.